Wow, its been days since I published- this month turned out to be pretty eventful than I had expected. 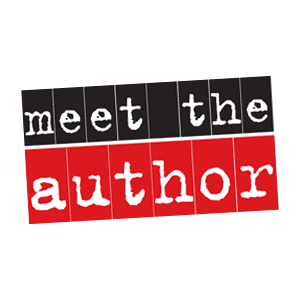 This is the last interview of the series with the #PMOT author/s and today meet Lindsay Scott, Director of Arras People as she talks about her new venture of co-authoring a book. It’s a big milestone to be an author- why did you decide to be one? My experience has been quite unique. I was approached by a publisher at the beginning of 2011 and asked if I wanted to co-edit a handbook related to the people aspects of project management. 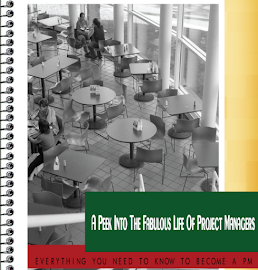 The book is called – The Handbook of People in Project Management – and it’s going to be published in2013. Initially when I was approached I was surprised as I’ve never written a book and certainly never edited one before. When I found out that my co-editor was Dennis Lock (the eminent project management author) I felt a little more comfortable and decided to go for it. I was looking forward to the challenge of doing something completely different yet in a field that I felt totally comfortable within. Both Dennis and I had complete authority to decide the structure of the book and we knew that it was going to be a huge book (63 chapters, 800 pages, featuring over 58 different authors!). The book focuses on the people aspects of project management so we have parts which focus on areas like leadership, team management, conflict and behavioural skills. With my experience working and blogging about project management careers and recruitment I’m contributing to three chapters – on recruitment, pay and redundancy. 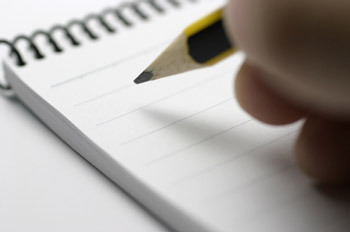 What was your schedule like while working full time and writing it? One of the most interesting things about being part of a commission for a new (and large) book is the schedule and time involved. From the initial commission through to the book being on the shelf will be over two years. During that time I’ve been responsible for setting the topics for the book, approaching authors to write the chapters, reviewing the content and working with Dennis whilst he edits the chapters. Later on in the schedule we will look at the overall layout making sure the chapters are aligned, the index comes together and the overall design. Fitting in this project alongside a full time job has its ups and downs. I’m lucky in one respect that I do own and manage my own business which is in the project management field. I’m working with people that I already know and reading about subjects that fit into my day to day job anyway. I tend to work via email and social networking sites so can be in touch with authors around the world very easily. The downsides are trying to write the chapters that I’m commissioned to do; there are never enough times in the day. Other authors also suffer from this as most are current practicing project managers too. We’re lucky in one respect that we have a long timeline to work to but I’ve found that project managers work best when they have tight deadlines so often the writing happens in the evening and weekends. The bottom line is, if you want to become an author – whether it is a book or just a chapter – you need to show commitment, manage your time effectively, and create a space in your schedule when you can be creative. How different is authoring a book from blogging? As I mentioned I’m also authoring three of the chapters (about 7000 words each) and it has been a great experience switching the style of writing that I would normally use on the blog (How to Manage a Camel). In some ways it has been like being back at University creating a thesis. There has to be a lot of research beforehand, the chapters have to be correctly structured so they ‘flow’ and I’ve been really lucky to have such a good editor in Dennis has he is a great writer with an excellent command of the English language. One of the main differences between writing for the book and writing for the blog is the use of informal language. With blogging I tend to write as I speak so there are a lot of localisms, English sayings or slang. When writing the book these are removed so you really need to be conscious of what your author “voice” sounds like and make sure the grammar is correct. I’ve learned an awful lot so far and I’m still learning a lot! Name a book/incident/person that inspired you to become an author. I’d never really given it much serious thought about becoming an author before this opportunity landed in my lap but I’m a dedicated reader and love to read about project management. In the future I’d like to write a full book myself – something that focuses on the career aspects of project management. Some of the best books I’ve enjoyed over the years include; I have to include Dennis Lock’s Project Management book it’s a definite guide to project management with so much detail where its necessary (especially around scheduling and plans). I love the refreshing style of Peter Taylor’s Lazy PM and he’s done a great job of creating a breath of fresh air into project management books. Finally I loved Rework from JasonFried and David Hansson simple to read, great ideas and I wish I’d come up with the layout and concept! You can find the interviews from this series here. The PMOT author series continues and this time we have Peter Taylor. Turns out, all you have to do is get the first one published and the rest follows. Peter has another coming out in 2012- watch this space. Having my first book The Lazy Project Manager published by Infinite Ideas changed my professional life. I had long wanted to write but never seemed to get the right idea but then I started speaking at various conferences and after a while I had ambitions to widen my audience and to get on to the international speaking circuit. It was only once I had a book to support and promote me that I began to be noticed. A book lends gravitas and authority to its author (assuming it's a good book and all the evidence suggests that ‘The Lazy Project Manager’ is indeed a good book!) It can set agendas. It receives reviews in trade media that raise the author's profile. The book has helped me internationally, too. ‘The Lazy Project Manager’ has been a bestseller on the Amazon Kindle store in the USA and I've had a huge number of enquiries for speaking gigs and consultancy as a result (I have presented in New Zealand, Brazil, USA, Germany, Poland, France, Romania, Sweden, Hungary, Netherlands and many more). Honestly a book written by you to sell (or give) to clients is the best piece of marketing collateral you can own. What are your published works and where can we find them? And in 2012 there will be Project Branding (Gower) and a new ‘Lazy’ book as well. How long did it take you to write your last published book? Well there is the writing then there is the editing cycle and all of my books have taken a varied time but, as an example, my current book ‘Project Branding’ has taken about 9 months to put together – mainly as this is case study based and this requires time to secure case studies, support and encourage contributors, and in editing the case studies before weaving them in to a coherent book. As a comparison ‘The Lazy Project Manager’ was written much faster with the writing and editing process concluding in less than 3 months. Again the two books were very different. For ‘The Lazy Project Manager’ I took time off work and wrote solidly for about 9 days to write the first draft. For ‘Project Branding’ is has been a low level effort in writing for a much longer period and this will be concluded with a few days ‘tidying up’ over the holiday season to complete this one. Well I have to say that when I do write I often look again at my blogs and often there are some ideas or material that can be re-used, in an expanded form of course. But really for a book I like to ‘architect’ the major themes and chapters and then look at the way this flows and connects in a logical and concise way. Once I have that then I write and, often, things change as you progress through the writing period but generally the high level structure is fairly stable. Blogs can, in comparison, be short, sharp and specific and the next blog can be (in the words of Monty Python) ‘something completely different. Three things every #PMOT author should know? · Don’t wait until you have written the book to try and find a publisher. Do your research on suitable publishers and check out their requirements for submissions, and start applying. · Use your network to get advice and make connections. · Blog – and blog some more. It is great practice and a wonderful source of ideas. Is it difficult finding a publisher? It can be. I have spoken to many people about this since I released my first book and a lot have not been as lucky as I was. Actually for this very reason I have collaborated with the publishers of ‘The Lazy Project Manager’ and ‘The Lazy Winner’ and I now have a website that offers some advice (text, videos and a free eBook on ‘Getting Published) to help would-be authors around the world. No guarantees of a deal but my publishers have offered to at least have a chat with anyone who has a reasonable idea for a book. And, of course, there are increasing ways to self-publish these days. There are many books that I have enjoyed, and still enjoy, that I could say were inspirations to me but if I have to pick one author it would be Brian Tracy and if I have to pick one of his books it would have to be ‘Eat that Frog’. I like Brian’s books because they are short, easy to read and to the point, and I like ‘Eat that Frog’ because it deals with a problem that we all face. Peter is a dynamic and commercially astute professional who has achieved notable success in Project Management. He is also an accomplished communicator and is a professional speaker as well as the author of ‘The Lazy Project Manager’ (Infinite Ideas) and ‘Leading Successful PMOs’ (Gower) and ‘The Lazy Winner’ (Infinite Ideas). More information can be found at www.thelazyprojectmanager.com and www.thelazywinner.com and www.leadingsuccessfulpmos.com – and through his free podcasts in iTunes. 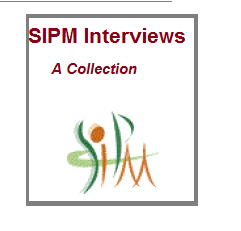 The second interview in this series of #PMOT authors is with Gina Abudi . I have a significant amount to share with others based on 20+ years of experience. Most particularly, you see many individuals who have left - either voluntarily or not - their current job going out on their own. They need some guidance on how to begin their business adventure and how to sustain it. My current book does just that. I have been published on a number of websites and blogs, including Vistage, Business on Main, and a number of international websites/blogs and magazines. I have one published book to date and I have been a contributing author for another book. I’m hard at work on my next one! My current book is: The Complete Idiot’s Guide to Best Practices for Small Business, Alpha Books, 2011. I co-authored the book with Brandon Toropov. 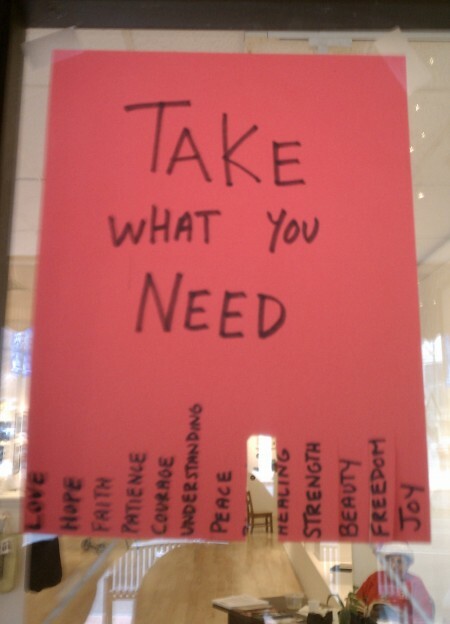 It can be found here. The book to which I was a contributing author is Gantthead’s Project Pain Reliever, J. Ross Publishing, 2011. You can find that book here. Once I officially began the book, it only took about 4 - 5 months to write The Complete Idiot’s Guide to Best Practices for Small Business. I did all the writing on weekends and in the evenings. Not always easy! I restricted my writing to weekends and in the evenings so as not to interfere with the job. It meant many late nights certainly and weekends where I did not much other than writing! In my opinion blogging is easier because I have no restrictions other than what I put on myself, and, of course, based on what I know my audience wants from the blog. When writing books, especially when working with a publisher, you have guidelines to follow and sometimes you may want to include information in the book that is not able to be included due to space constraints, etc. Stick to the timeline you have from a publisher. If you don’t have a publisher - create your own timeline and stick to it! Have someone read the book with a critical eye. It’s hard for you to be critical since you are too close to it. Is it tough luck finding a publisher? Frankly, I sort of “fell into” it. I was asked to do a technical expert review a year prior to taking on this book and ended up having a conversation with the acquiring editor at Alpha Books about writing. He introduced me to a co-author who introduced me to his agent, who is now my agent also. That being said, you should still try to submit your work and keep at it. Don’t give up! There are also many small boutique publishing houses and many options for self-publishing. There is no particular book, incident or person that inspired me to become an author. I do read lots of books - both fiction and non-fiction and business focused books. I suppose I could say that all my reading has inspired me! For as long as I can remember I wanted to write. My dream is to one day write a fiction book - a mystery! Gina Abudi, MBA has over 20 years of consulting experience in helping businesses of all sizes develop and implement strategy around projects, process and people. She is President of Abudi Consulting Group, LLC and an adjunct faculty at Hesser College (NH) teaching in the business administration department. Gina regularly presents at conferences, forums and corporate events on a variety of topics. She has written a number of white papers, case studies, and articles on various management and project management topics, which can be found on her blog:http://www.GinaAbudi.com. Gina serves as President of the PMI® Massachusetts Bay Chapter Board of Directors. She has been honored as one of the Power 50 from PMI®. If you are still celebrating the first week of this year, doing more in 2012 will matter or how to have a great year without setting a goal! 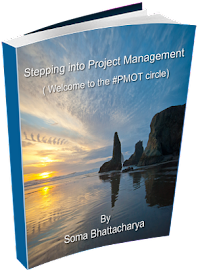 The next few posts will be about #PMOT authors and how they have managed it. We start with Elizabeth Harrin. 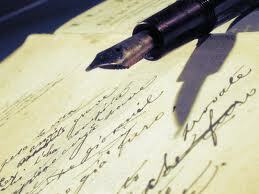 I have always written; when I was younger I wrote stories and poems. For me, there was never an option of not writing, and getting a publisher seemed like a logical next step. My motivation for Project Management in the Real World was partly because I wanted to write a book before I was 30. We had the book launch event a month after my 30th birthday, so I nearly made it! Project Management in the Real World came out in 2006. Social Media for Project Managers was published in 2010. They are available on Amazon and the other online stores or you can get them through bookshops. You can pre-order Customer-Centric Project Management from the Gower website now, I think. That isn't due out until the summer, provided my co-author, Phil Peplow, and I finish the manuscript in time. I have also self-published two books: Get Started Using Social Media on Your Projects is a practical ebook that walks you through the steps to - you guessed it - start using social media on your projects. You can get that from my blog. Overcoming Imposter Syndrome: Ten Strategies to Stop Feeling Like a Fraud at Work came out just before Christmas. I wrote that because I gave a presentation on the subject and it seemed to impact so many people that I felt there was more to say on the topic. You can get that at www.overcomingimpostersyndrome.com or from the Amazon Kindle store. Social Media for Project Managers took about 6 months to write, if I remember rightly. I do remember the last few weeks being horrendous. The deadline was fixed because it was due to be launched at the PMI Global Congress in Washington and I was working full time and then writing every evening and all weekend. The hardest part isn't the writing, although that is tough. It's the co-ordination of everything else: quote approvals and permissions, footnotes and references, preparing images and tables, checking formatting, proofing over and over, responding to the copy editor's queries (I had to take out the word senior because she felt US audiences would interpret that as meaning 'old' when over here it means 'executive'), reading the galleys, doing launch interviews ahead of time. There is a lot more that goes into producing a book than just the words. In blog posts you make a point in 700 words. In a book, the whole argument has to hang together over 70,000 words! Some of the worst books I've read are when a blogger takes a collection of blog posts and puts them in one document and calls it a book. The structure needs to be completely different. Don't write a non-fiction book without selling it first. Just do a book proposal, as you will get feedback from the commissioning editor about how they want to make it fit into their list. Don't underestimate the amount of work, and always add a month or two extra into your contract with the publisher so you give yourself some slack. Is it tough finding a publisher? No. Well, I didn't find it difficult the second or third time round. First time round I pitched to a big publisher who took a year to say no. I should have done better research because I realise now they would never have published a book by a nobody like me. I matched my next attempt at selling Project Management in the Real World to a smaller publisher, the British Computer Society, and they rang me the next day. I have had a great experience working with them and my other publishers. That's tough. My mother would let me sit on her lap while she read romance novels, but it was my grandparents who gave me a journal for Christmas one year and that started me out writing. 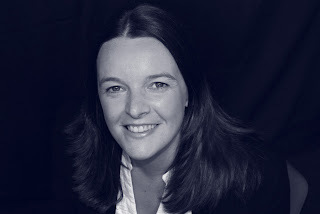 Elizabeth Harrin is Head if IT Programme Delivery at Spire Healthcare, and Director of The Otobos Group, a business writing consultancy. She was recently named IT Professional Blogger of the Year by the readers of Computer Weekly. Find her online at www.GirlsGuideToPM.com or on Twitter @pm4girls. This year starts the beginning of the SIPM Business Group. As you know the beta site is doing really well and was built with the help of volunteers- all of them my friends, I always wanted to do more with the site so more people know about project management first hand. Maintaining a site and keeping up with it (adding new features) requires a lot of time and some money. So, the SIPM Business Group was born. The Business Group offers three packages and customized work- we work with small and medium businesses including start ups. The money of course allows me to pay my friends and volunteers who have been with me for so long and at the same time grow the beta site. By the way, the beta site got a new name- it’s called CONNECT- The SIPM Community. The special offers are posted through twitter. And if everything goes right, the newbies can work on the project management side with their mentors for the SIPM Business Group projects. So many of the newbies say they don’t get the chance to work on project management to try their hands and develop skills- this initiation hopefully will solve some of it and provide everyone with a stepping stone. 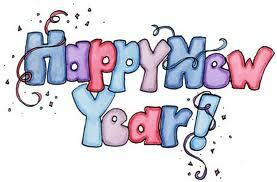 I hope this year brings in lots of luck, good opportunities and amazing work to you all.